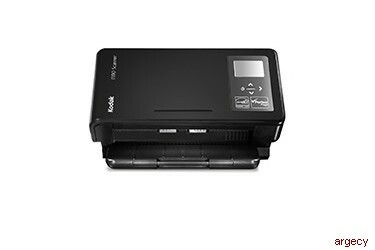 KODAK SCANMATE i1150 Scanners, with their quick, whisper-quiet operation and compact, space-saving design, are the perfect office mates to help you take on a wide variety of tasks. They perform especially well in face-to-face customer transactions. The SCANMATE i1150 can handle everything from standard documents to IDs and hard cards, which means you can capture information quickly and efficiently. In addition, integration with other software and systems lets you share data with ease. SCANMATE i1150 Scanners are the ideal choice for medical office registration desks, bank teller use, state and municipal government offices, and insurance agencies. Transaction mode lets you capture the first 10 documents in a stack up to 33% faster before the scanner returns to normal scanning. Efficient transactions lead to happy customers. Integration with other software and systems, easy to use Smart Touch technology and built-in barcode reading, means your scanner can send information to the right places and people easily and complete common tasks with the push of a button, freeing you up to focus on other projects. KODAK SCANMATE i1150 Scanners integrate seamlessly into a wide range of environments, including WINDOWS, MAC, and LINUX operating systems. They also provide TWAIN, ISIS, and LINUX driver capability with business applications. Capitalize on your investment and ensure that your KODAK SCANMATE i1150 meets your evolving business needs for years to come with our worry-free warranty and full spectrum of essential services, from installation to support. Bundled Software Fully supported by KODAK Capture Pro Software and KODAK Asset Management Software. MAC Bundled Software: NEWSOFT PRESTO! PAGEMANAGER; NEWSOFT PRESTO! BizCard XPRESS; TWAIN driver2 (available via web download only). 2 The Smart Touch application is not supported on these operating systems.